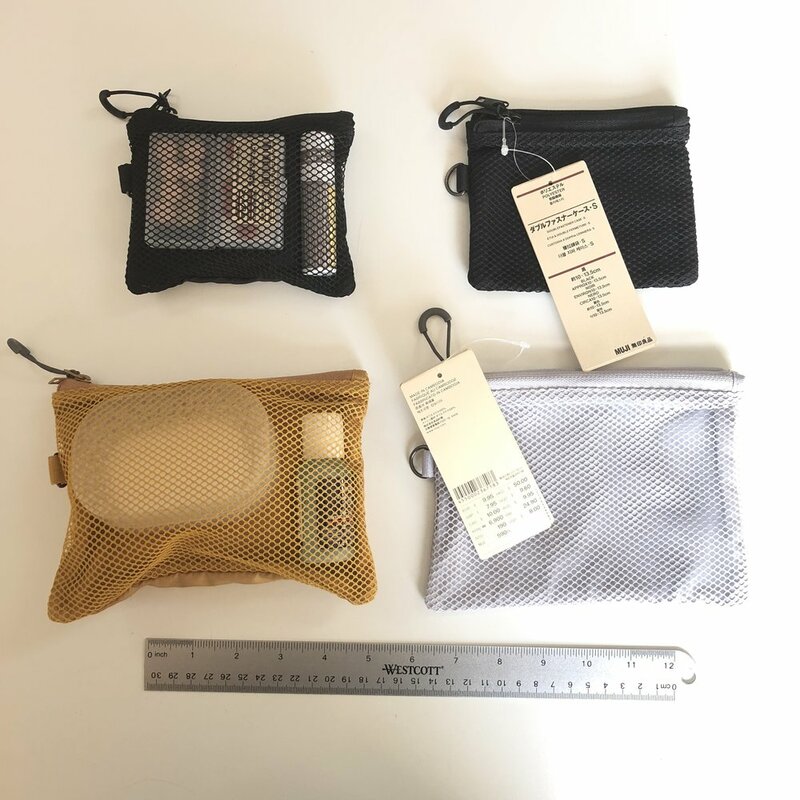 Muji has a line of pouches that I find very useful. They comes in three sizes, large, medium and small, and in multiple colors: blue, light grey, mustard and black. Here I am reviewing the medium and small case together. The medium case is 5in x 7in, or 13.5cm x 19cm, just slightly smaller than a A5 notebook. The small is 4in x 5in or 10cm x 13.5cm. Both cases have two compartments — the front one has a mesh front and the back compartment is enclosed. The two zippers have a different zipper pull on them. The front zipper pull has a thumb loop to make opening it easier. I can see replacing the standard pull with a custom pull, although the hole is just a bit too small for a standard size 550 paranoid. The polyester material is good quality with a tight weave but thin. They are definitely not as rugged as say halcyon or cordura, but are perfectly adequate for normal use. For the cost, I think these just became my favorite every day pouches.